Last week we gave our run down of the main contenders for the 100km race, this week and just a few days ahead of race day, we give you the ‘the beef’ on the potential podium placings for the 50kms race. Similar to the 100km field, although known as the baby brother of the race weekend, the 50km field is very strong all round. As always, we’ll kick off with the ladies and the big news is that one of the main contenders, Hanny Allston is out with an Achilles issue, but more so taking precautions ahead of the World Orienteering Championships in Italy in early June. Hanny had a fantastic Six Foot track debut earlier in the year, finishing just 4 minutes outside of Emma Murray’s amazing record. There would have been high hopes that Hanny could be a potential podium getter outright, but it’s not to be this year, although I’m sure she’ll be back in future years for a crack. 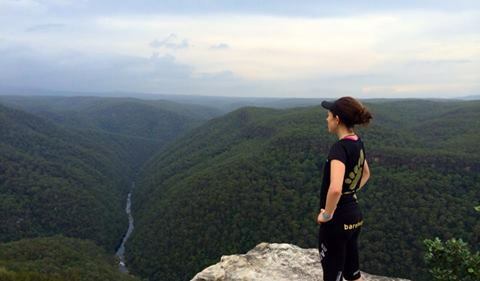 Next on the list is Jo Brischetto, a Blue Mountains local who finished a fantastic second place in last year’s 100km race behind Beth Cardelli. Jo’s had a bit of an injury-plagued last few months, but a strong outing at the recent Buffalo Stampede marathon, where she finished third has placed her right back up there as a leading contender for this race. Part-owner of the Summit Sisters, Jo is well-known and liked on the local scene here in Australia, and we think this could be her year for a win. Hot on her heels though, could be Melissa Bulloch, whose previous performances include winning outright the Water World Great Ocean Run 45 km a few years back and then finishing third outright last year in the same race. I don’t know too much about her other than she appears to be quick! 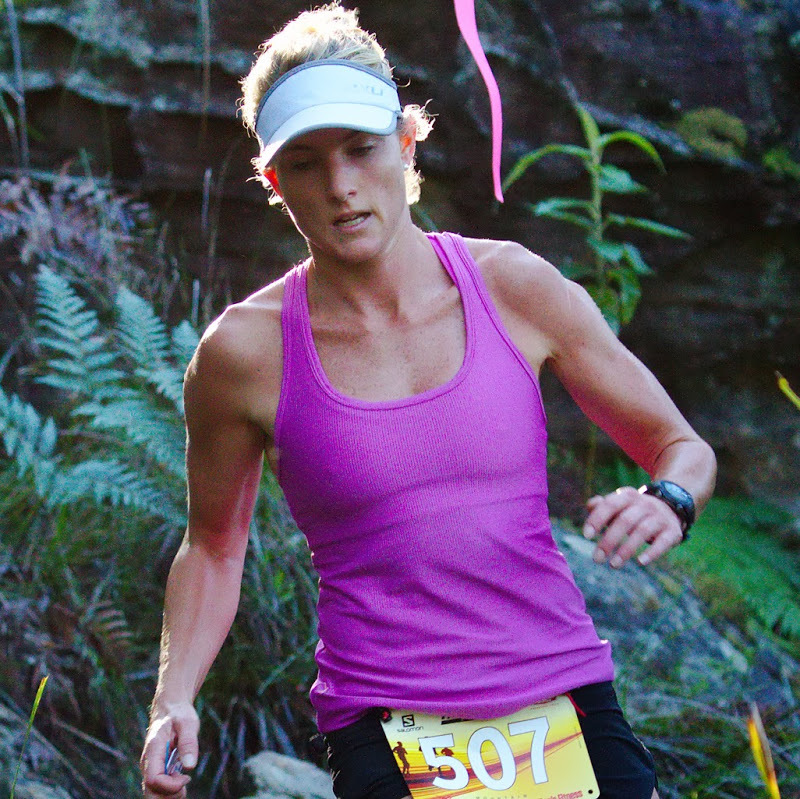 Next up is Reegan Ellis, well-known on the short course trail circuit around Sydney after claiming a number of wins in the Sydney Trail Series events. Reegan made her debut ultra performance at Six Foot Track this year, finishing a very credible fifth place in 4:21 – with speed to burn, certainly one to watch for the podium. Another lady who had a cracking Six Foot track debut this year was Jane Gordon, from ACT, finishing second behind Hanny Allston in a time of 4:13. Similar to Reegan, Jane is another one with a great shot at a podium placing. In the mens race, three names stick out like a sore thumb in David Byrne, John Winsbury and Robbie Neill. David, a former track athlete and 29min 10km runner no less has hit the trail/ultra scene with a bang this year, winning all of his races to date, namely the 6hr Knapsack lap race, Six Foot Track and then joint winner of the Buffalo Stampede marathon with Vajin Armstrong. Vajin just this week finished 13th over at Transvulcania – which goes to show the pedigree that David is showing right now. There’s no doubt he’s the quickest man in the field and on his current form and race results, it’s really hard to see him lose this one. He’s being cracking out high volumes in training, but a slight injury issue could leave the door open for a few others. John Winsbury is a veteran of the ultra scene, who dropped off the radar for a few years but finished on the podium of this race last year. A former winner of the very tough Bogong to Hotham race down in Victoria, John has bags of talent and seems to be really peaking again. Robbie Neill is another very talented runner, finishing fifth at this year’s Six Foot Track race and just under ten minutes behind David. Expect him to be right up there challenging for the lead and a potential podium placing. But these three won’t have it all their own way. 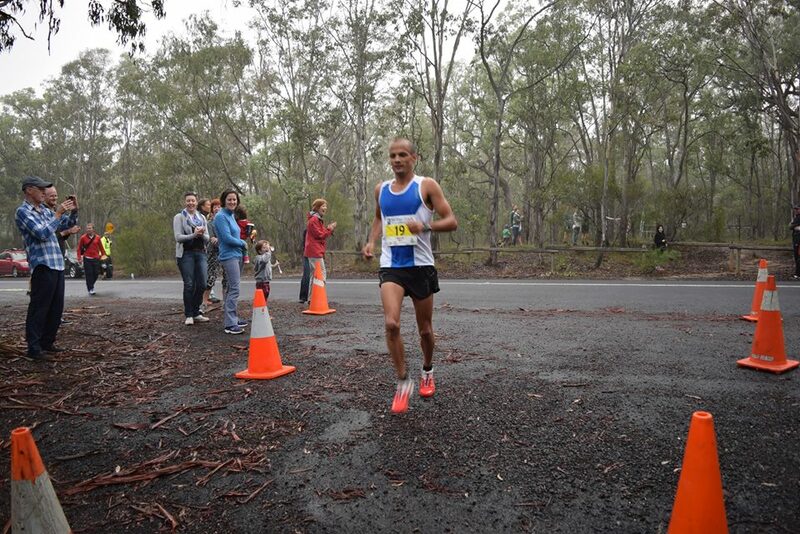 Watch out for Brazilian, Anderson Moquiutia, a bit of a 50km trail specialist with four wins from seven races in the last two years, including the Nerang State Forest 50 km Run and the Water World Great Ocean Run 45 km from this year. He also finished sixth at the Two Bays 56 km Trail Run this year too. Man has form and could nudge his way onto the podium, or even a win if others trip. A few other men to keep an eye on include rogainer, Richard Mountstephens, Coast2Kosci specialist Rob Mason, local Sydney fitness guru Chief Brabon and finally Marty Keyes, who finished 10th at this year’s 6ft track in 3:46. Plenty of talent in both the 50km and 100km races. As mentioned on our Facebook page, we’ll be up n the Blue Mountains this weekend to bring you updates of the 100km race, and hopefully an interview or two along the way from some of the International elites, along with some of our very talented locals. Good luck to everyone taking part this weekend, it will be a ball! Hmmmm, gotta get this knee and hammy right so I can have a crack. Right now I don’t think the chicken legs could handle all the bloody stairs. I reckon Anderson Moquiutia could be the surprise package. He has a cool name and results that add to his ‘rad’ factor.